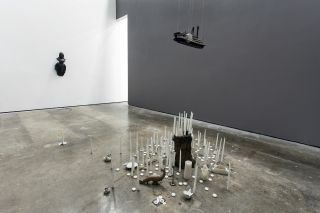 Credit : Copyright Andreas Eriksson, courtesy Andreas Eriksson and Stephen Friedman Gallery, London. 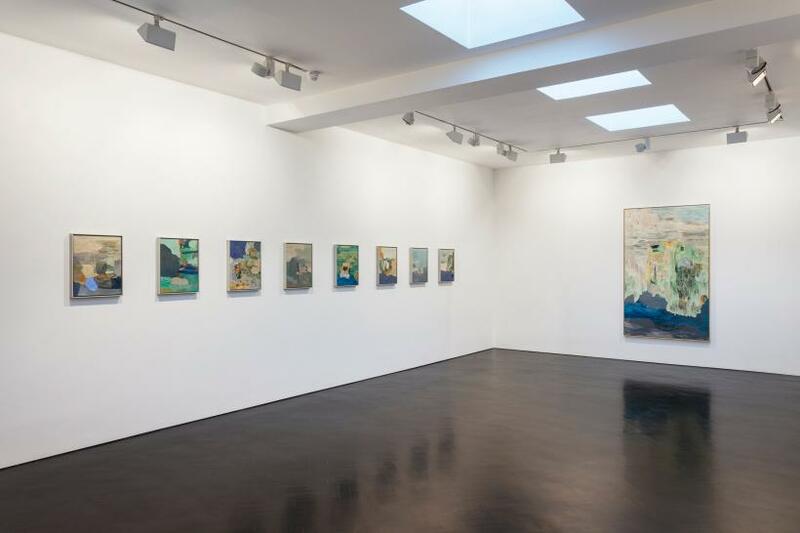 Impressed on to the glass-door entrance of Stephen Friedman Gallery are the words ‘Röta, bråka, skäkta och häckla’, the title of Andreas Eriksson’s show. The phrase is Swedish for the four stages of the linen-making process that is central to Eriksson’s practice. It is left untranslated for a non-Swedish speaking audience, its abstraction in-keeping with the collection presented in the gallery. 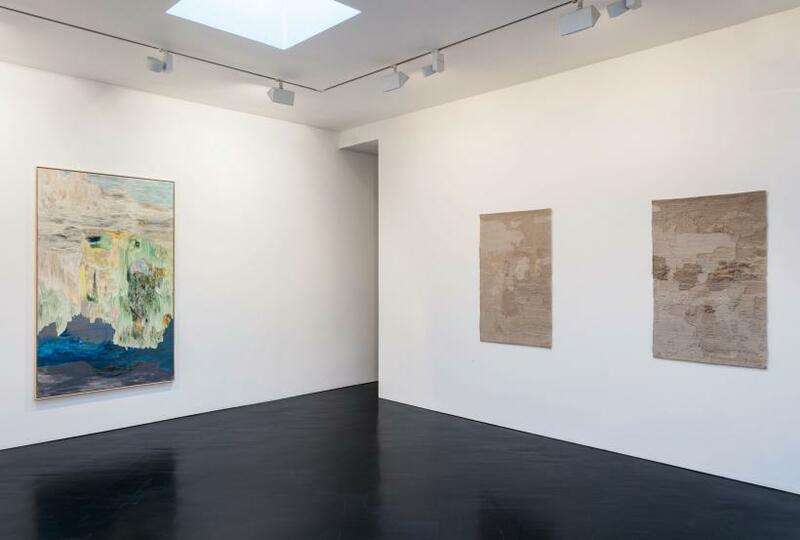 The exhibition, Eriksson’s second at Stephen Friedman, brings together the distinct activities of painting and weaving in two new bodies of work: tapestries woven from Swedish linen and paintings that reflect on the natural landscape that surrounds the artist’s home. 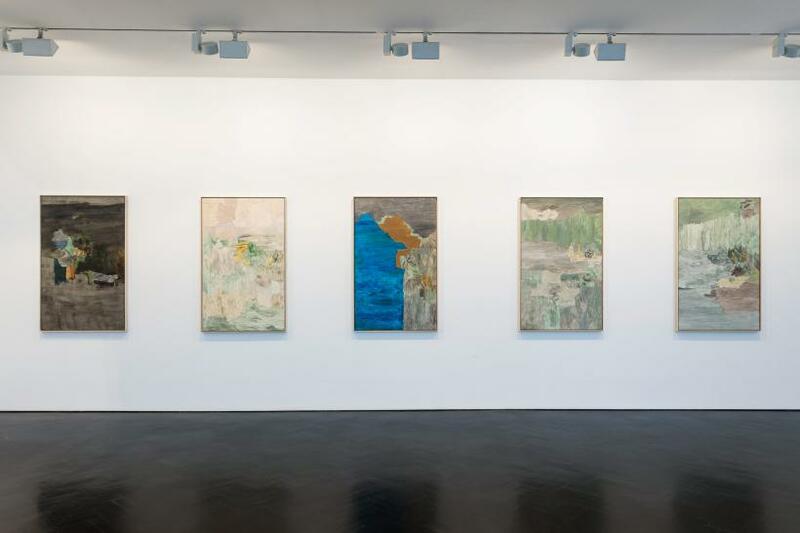 From the Swedish title to the linen threads that weave together Eriksson’s work, ‘Röta, bråka, skäkta och häckla’ provides its audience with a neutral – Nordicly-so – meditative space. 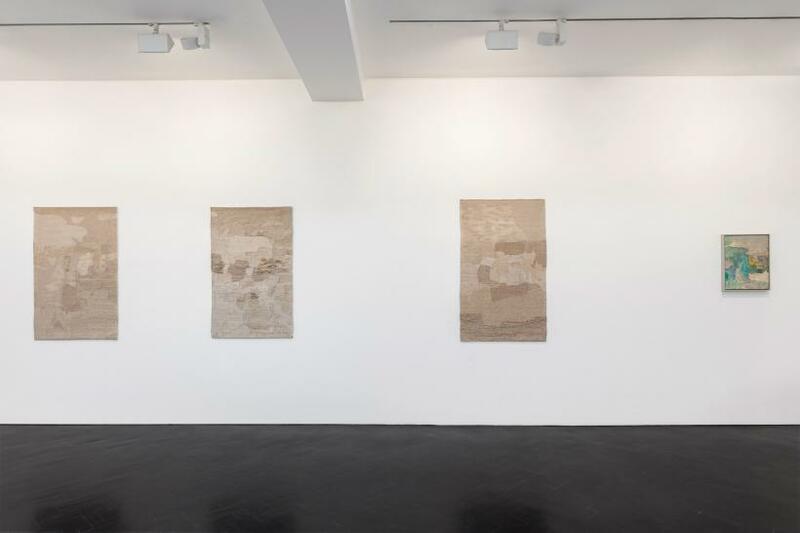 The two bodies of work – painting and tapestries – are brought together at the most intricate level: Eriksson uses the same woven linen in his tapestries as the linen canvas he paints on. When observed up-close, Eriksson’s tapestries are painterly in methodology, combining different weaves and embroideries to form a brilliant depth of texture and detail. Some sections are loosely woven, allowing the light to seep through the linen, while other sections are bunched up and frayed to form pools of shade. In this way, the four tapestries are brought into the narrative of varying textures that runs through the whole collection. Eriksson has collaborated with local weavers for a while now but for the new collection he installed a loom in his studio so he could be directly involved with the weaving process. The yarn is un-dyed, the natural hues of light brown and cream the effect of origin and the treatment of the linen. 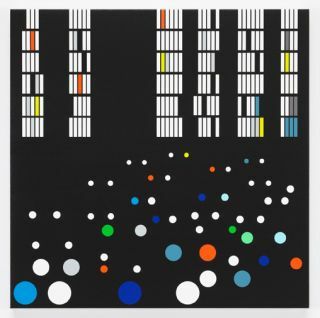 Eriksson even sourced the material himself from various places in Sweden, intimately connecting the tapestries to their origin. 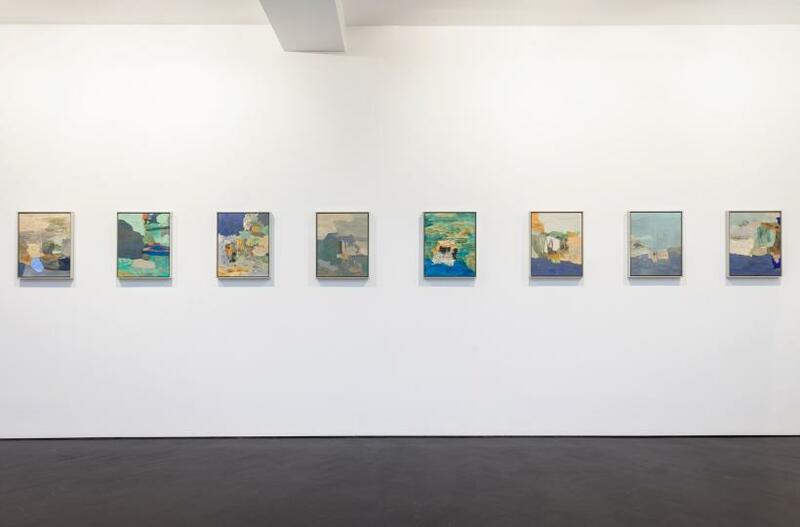 In his paintings, Eriksson does not form any outline of the land but instead, using a palette of earthy colours – pine green, stone grey, washed-out blue – creates abstract impressions of the Swedish terrain. Brushstrokes are horizontal and vertical, overlapped. Pigments are built on and scraped away, creating layers, textures and densities. The sun-blushed palette is interjected by swashes of cobalt blue, bright green and pink, colours which work to intensify the more subdued pigments. The artist continues the romantic tradition of mid-nineteenth century Scandinavian painters who were intent on defining a connection between the people and their country through their landscape paintings. 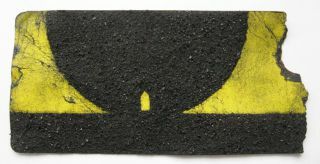 But, while the textured surfaces of Eriksson’s paintings verge on figuration – almost sculpture, even – their abstraction leaves much room for interpretation and reflection, drawing them away from the traditional context. Each painting is unique in composition but, in style and subject-matter, a continuation of the other, together forming an atmospheric meditation on the Scandinavian landscape. 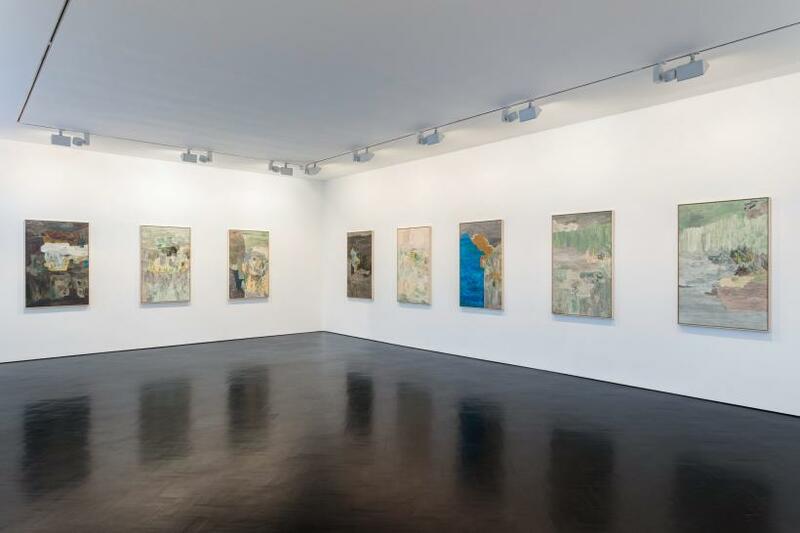 Even the gallery space itself, with its glass exterior wall that unifies the interior white room with the exterior cityscape, fulfils the abstract, meditative space of Eriksson’s work.